Baku: Lewis Hamilton snatched pole position for Sunday’s Azerbaijan Grand Prix after eclipsing Mercedes teammate Valtteri Bottas on his final qualifying lap on Saturday. 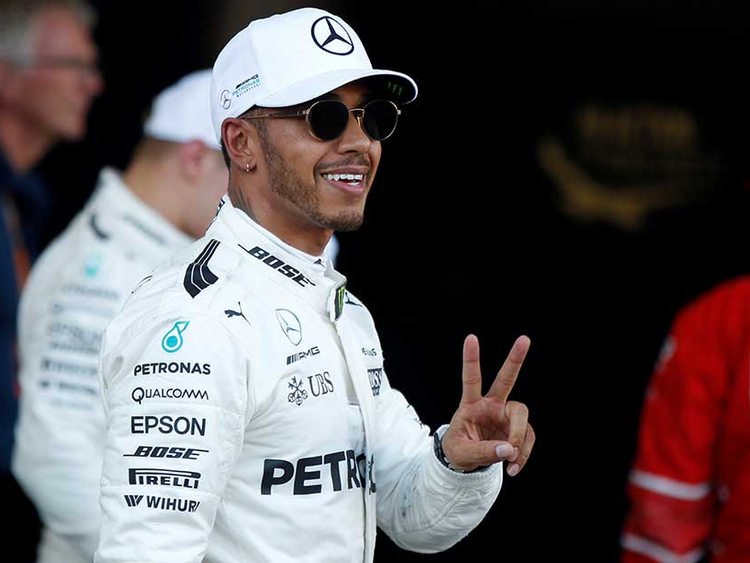 Hamilton claimed the 66th pole of his career, pulling clear of Brazilian great Ayrton Senna’s mark and leaving the Briton just two shy of Michael Schumacher’s record of 68. Hamilton’s quickest lap of 1min 40.593sec came in the final seconds of the session following a red-flagged stoppage which turned the finale into a 3min 30sec showdown. Max Verstappen was fifth for Red Bull ahead of the two Force Indias of Sergio Perez and Esteban Ocon, Canadian teenager Lance Stroll who was eighth ahead of his Williams teammate Felipe Massa and Australian Daniel Ricciardo, who crashed his Red Bull to engage the red flag and create the final drama.